Leasing office service needs improvement. All the help at Villas are caring. But the leasing office staff seems to be lost and always loaded with work. We've just moved here (3 weeks ago) and we are having several problems with the mail delivery system and the people at the leasing office are never of any help. We had problems with 3 out of 4 deliveries. One of them was taken by our neighbor and no one in the leasing would help us get it back. We also reported some problems in the apartament in the following 48 hours of our move in, but no one came to check them out or to get them solved, such as outlets not working, damaged blinds, remote controls to the gate aren't working and so on. The apartment is really good, lots of space... but we feel like we are on our own. Its flooded right now.... I think it's everywhere. Water stays stagnant, not going anywhere. Rain just keeps on pouring like it never rained before. Phase 1 - the older apartments - seems to be left behind by the manegement. The common areas are always VERY dirty. There's not enough dog waste bag station, so there's dog poop everywhere. There's cigarrettes butts everywhere. Leaves everywhere. The trash compartment is a complete mess and gross. The gates every now and then stop functioning. The Pet Station is under repair for months. The clubhouse is closed down since September 2017. The apartment I live in has the worst quality blinds. All broken. The carpet was stained since day 1. Kitchen and WC cabinets are old and don't fully close. They showed us a completely different model apartment in Phase 2 when we were negotiating the rent. We were not allowed to see the apartment we would move in before the day of the move in. If we knew it would be this one, we would never had sign the contract. I wish I could say good! Maintenance is careless!! the breezeway in my building 11000 first floor is filthy. I find dog feces on the grounds regularly even in the doggy park. The back gate has been out of order for weeks. The trash is not picked up when they say it should. Thank you for your feedback. Please call me at 713-434-2400 to discuss what repairs need attention in your apartment home. I encourage residents to report any violators not picking up after their pet. I've had an okay experience. The office staff are nice, however certain request take awhile to get fixed from maintenance. Nice property with dog park and car wash. The gates are always broken. My car was once broken into during the times one of the gates were broken. The walls are too thin. I can always hear my neighbors talking, playing music or their tvs. Also, I have never heard of having to provide your own light bulbs when you light bulbs go out in your apartment. That is something the apartment complex should provide. Communication and employees are borderline. Apartment was not move in ready and it was a pain to get them to work on it. Bug issues to start. Hopefully they will clean up their front end with some more motivated people. Little pricey but great access to highway. There’s a lot around with plenty activities to do. Still waiting on the activity room and yoga room. Shawn, the yoga room has taken a while but it will be worth the wait. Thank you for your review. I think the staff can be better towards residents. Some residents leave trash under the stairs and I think that should be addressed. The staff needs to be better at work orders. Thank you for your review and feedback. Please call me at 713-434-2400 if your work order is not completed to your liking. 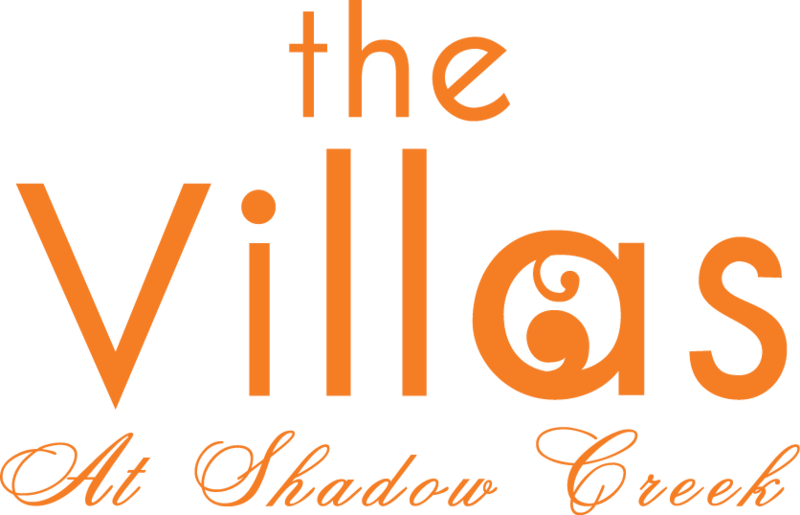 Villas at Shadow Creek is conveniently located by hwy 288, with a mall and shops close by. Location is great but being right by the hospital, it is not very quiet. I am so sorry to hear you having this problem. Please call the office so we can come up with a game plan to solve this issue. Thanks! Customer service and communication not all that great from Paula the manager. She walked away in the middle of a conversation with an attitude as if she was too busy. Perla helped me on my apartment search. She was very enthusiastic about her job and friendly. Amber was great with smoothing out the edges the day of my move in. At this time I am not happy living here because the walls are so thin and I have two small children so I am constantly getting complaints it’s not my fault the walls and flooring was built so cheap now I’m getting complaints after pretty much paying a mortgage for an apt and I can’t live in peace. The apartments is a family oriented and we love that. Definitely need improve in a few areas. I like the fact that they take care of the landscape also. Thank you for you review and feedback. My email communication stated off great. The team knew I had a special circumstance and kept me in the loop in regards to the status of my application. I’m so excited you are moving to The Villas at Shadow Creek! We have an awesome team here. Let me know if you need anything to make your move easier.